Among the most important decisions a person ever makes, yielding lasting impact for good or bad is choosing where and how to live. 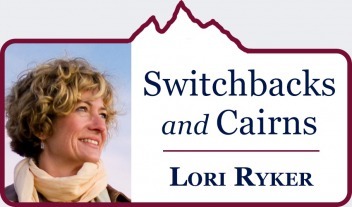 This is a subject of intense interest for Dr. Lori Ryker, maven of architecture, devoted to advancing the discussion of how human communities approach their place in nature. Mountain Journal welcomes Ryker as a regular columnist. Ryker over the years has taught at a number of universities. After earning her PhD in architecture, she made the quest of exploring compatibility between human-built environments and natural ones central to the philosophical mission behind the non-profit she founded, Artemis Institute. Her private design studio, studioryker, has worked with clients on a number of notable projects and was established not long after she put down roots in Greater Yellowstone. MOUNTAIN JOURNAL: You are a thought-leader in place-based architecture, People, especially newcomers, are building trophy homes with huge footprints on top of prominent bluffs, right in the middle of wildlife migration corridors and riparian areas as if they don’t care what impacts they are having. Considering what’s at stake for the character of Greater Yellowstone as it confronts an unprecedented sprawl of development, elucidate the issues as you see them. LORI RYKER: There is a critical link that requires deeper consideration not only with where we live but also how we live. Such as choosing the least obstructive and most beneficial place in a landscape to build, and then building in a way that best mitigates the stress we put on the locale and the greater world. Yet, today, as I witness the rapid development in these valleys of the Yellowstone region and beyond, I recognize that it is also necessary to adjust our belief that if we live someplace with regard for it, we can always find a way to live well among it. The difficult truth we are faced with is that to protect the health and longevity of the Greater Yellowstone region we must look not only at best options for where and how we live in this place, we must also address and come to accept that there is a carrying capacity for human habitation. And if we want the totality of the landscape and its wild inhabitants to exist long after we pass on, then we need to identify right now what that carrying capacity is and then live by it. These are difficult issues to contemplate when you look at them from the old lens of an individual’s “rights.” We must begin to shift our paradigm of thought beyond the singularity of an individual’s rights as a human to the rights of a greater totality, understanding the greater loss if we continue to develop this landscape as though our expansion into wildland habitat will not result in the complete loss of the unique and critical value of this region, not for ourselves, but for the world. MOJO: What are the important elements of "place-based" architecture and who are some of the philosophical practitioners whom you admire and why? RYKER: Firstly, place-based architecture considers the landscape and larger environment before the design of the building. The impact of building in specific locations extends beyond the apparent issues of human impact (such as resource use and view sheds) to the larger impact of building in a place as an occupancy of interrelations, everything from existing wildlife to plants and existing micro-ecologies to anticipated generated shifts in the overall health of the place. A good start to understanding place-based design is to ask what aspects of a place can be potentially improved by the siting of a building. An example of this consideration and the outcome is addressing the regeneration of the landscape by considering the how and the where a building sheds water back to the land. As far as practitioners I revere, Rafael Moneo the great Spanish architect has a long career of designing quiet buildings. They support and enrich their locale rather than dominate. Glenn Murcutt is an Australian architect whose work has taught me about the poetry that can come from the relationship of the building to its site, and that best behaviors of a building occur when taking into account the rhythms and cycles of the season expressed through locally available and simple materials. The American architects, Samuel Mockbee and Coleman Coker, made it clear to me with their work that there is a significant tie between the place and its people that grows from the necessity and investment of living from the land. And that this tie is recognizable when an architecture embodies the authenticity of this relationship. MOJO: Remote Studio has been an acclaimed offering of your organization, Artemis Institute. Tell us about Remote Studio, the idea behind it, and the impact it has had? RYKER: Remote Studio was developed to educate students of architecture about the link between nature and culture, and the necessity of honoring this link in the creative process of design combined with our responsibility to be design stewards for the future of the planet. To support these goals students from multiple universities and multiple countries were immersed in the backcountry and wildlands of the greater Yellowstone region not only to experience place and wildness first hand to best understand what will be lost if there is not a shift in beliefs and practices, but also to gain creative insight and inspiration from immersed experiences in nature. With these experiences each semester the students designed and built community projects primarily in wild-land interfaces of the Greater Yellowstone region to understand and connect these experiences with real-world design issues that could directly impact the surrounding community’s experience of place-based architecture. The cumulative impact of the program is two-fold; a decade of place-based architecture that exists from the Bozeman area to the landscape of the Tetons, along with empowered graduates who are challenging the conventional models and philosophies of the practice of architecture supported by a commitment to thoughtful and creative consideration of sustainable design and cultural responses. MOJO: You've had many clients, trying to be more conscientious, who seek you out to help them build the homes of their dreams and yet do it in a way that respects the setting. What is important about this discussion between architect and client? RYKER: The environmentally-aware architect is hired for just this reason, that they are aware of a greater context beyond the existing built environment that requires attentive response through architectural interventions. Such architects and designers are not only aware, but also knowledgeable in the strategies and concepts that provide more responsive and integrated architecture to this greater context. An important first discussion for client and architect to have is of their worldview to determine if they have the same beliefs or similar beliefs to have a successful and reciprocally satisfying working relationship. For a client interested in living in a home and in a place that is integrated and responsive to its landscape and greater ecology the architect should provide a thoughtful discussion regarding their insights for the specific landscape under consideration. This should be an easy discussion that includes issues such as topographical conditions and their impact on a design, as well as aspects of water flow, wind and solar conditions. A review of the presence of wildlife on the landscape and how they inhabit the site is also a must for the Rocky Mountains where the wildlife is truly wild and includes larger migrating animals. MOJO: You are a writer, visual artist, outdoor explorer and mentor to young women. Notably, you've taught architecture classes at Montana State University and other institutions. When you reflect on what's important to impart to the young generation of architects coming through school and wanting to "leave their marks", is respect for place, for landscape, for community, being emphasized enough? RYKER: I am astonished that rural and wild environments and landscapes, larger issues of place and rural and wild landscapes are treated as secondary issues in schools of architecture. Students continue to be schooled in the dogma that buildings are an urban and human centered issue. And to a larger degree this is likely true. I see the lack of consideration of less dense human environments in class courses, who is hired to teach, journal focus and symposia. However, if we continue to educate and promote architecture as an issue only worth “thinking about” in primarily urban conditions and not as an ethic put into practice, we miss the necessity of educating the next generation to rethink the strategies and options for sensitively considered architectural solutions when confronting the issues we will all face with the rampant development that is occurring across the mountain West. I also recognize that if the faculty do not hold broader knowledge, philosophy or interest in rural and undeveloped landscapes the students will not be enlightened in this realm. I was only marginally educated in environmental concerns. The breadth and depth of my education really did not occur until my PhD work which was inspired by my own observations of a changing western landscape and reading many of the environmental and nature writers of the past 100 years, including Aldo Leopold, Terry Tempest Williams, Rick Bass and Todd Wilkinson. 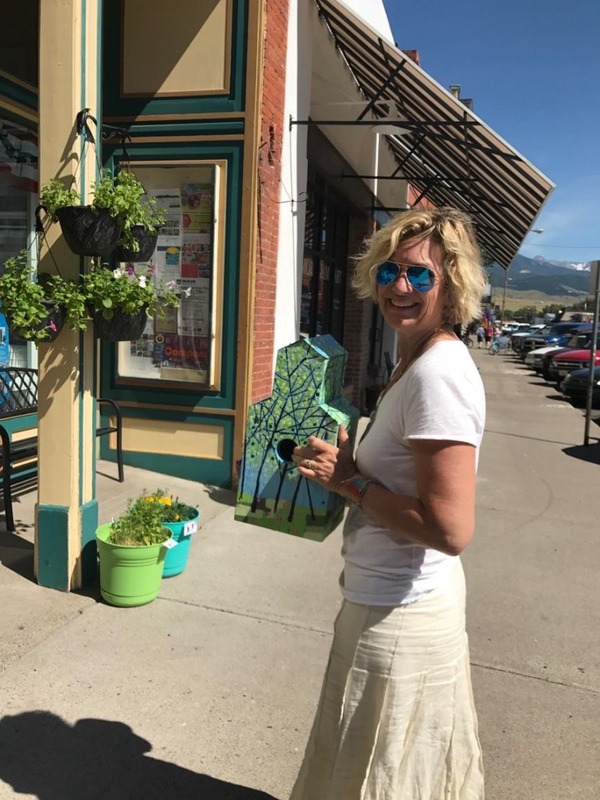 MOJO: Tell us about the space you've created in Livingston, Montana, which we hope will be a place of collaboration with Mountain Journal, and what you hope to accomplish in it? RYKER: While I have held a design studio on the properties where my home is since arriving in 1998 this spring I decided to open a store-front space in Livingston in an effort to expand my impact in the community. I am very excited about this new venue because the store-front provides the opportunity to extend other public offerings for the community, to expose and educate people in the areas of art, architecture, and environment. With this goal in mind, we are hoping to collaborate with Mountain Journal through a series of salon events that will not only bring some of the best thinkers about the mountain west to the Yellowstone region, but also provide a venue to up-and-coming local chef’s to share their culinary vision with the attendees to these events.